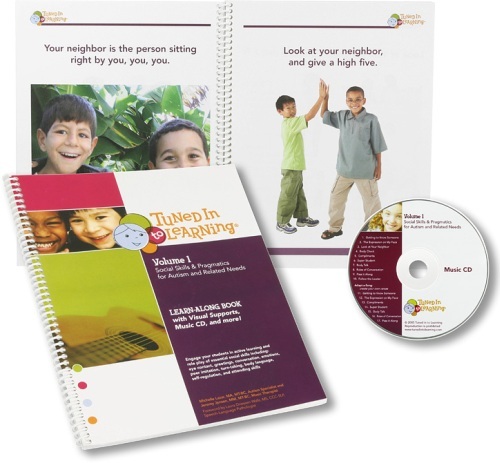 Music-assisted learning program providing students (ages 3-12) with a motivating way to practice essential social skills including: eye contact, greetings, conversation, emotions, peer imitation, turn-taking, body language, self-regulation, and attending skills. For children with autism and related needs. Contents: book and music CD.